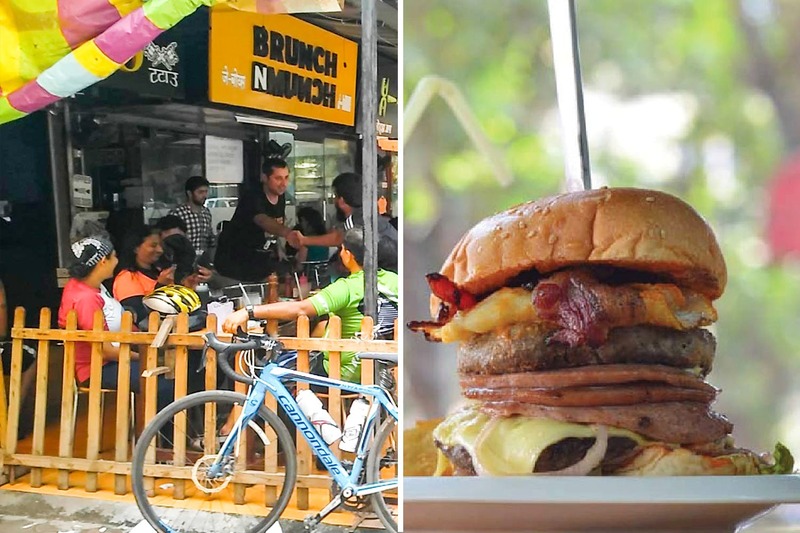 It may not have a sea view, but Brunch n Munch, a shack located in one of Orlem’s narrow lane looks, feels, and tastes just as awesome as that beachside adda. With an elaborate menu, this small shack has about six tables that make for their only outdoor seating, which is why pick a pleasant day to go here. Their staff is courteous, and they have a prompt kitchen which makes sure hungry doesn’t translate into ‘hangry’. Close your eyes and keep your finger on any of their items on the menu, and chances are it will be worth it. But we have our own favourites, obvio! Their Bhukkadd burger comes with a double patty; you can opt for the tenderloin version which is uh-mazing (INR 370), or you could choose the 50-50 variant (INR 400) where you can mix two types of meat in your burger. They also support the idea of eating breakfast options for dinner, because why not! Scrambled eggs (INR 130), fluffy omelette (INR 130), bacon & cheese omelette (INR 250) – all of them will leave you super satisfied. Also, their grilled tenderloin or chicken breast is recommended too. Considering monsoon is already knocking the door, we recommend this place for a rainy day brunch. Because hogging while watching the skies pour has its own charm.